My favorite way to unwind after a hectic work day is with a good, long run. I never played a sport in my life and I started going to the gym after I turned 23 so I can't exactly say that athleticism runs in my blood. However, I've come to realize how important it is to stay healthy and fit and feel good in your own skin. And what better way to accomplish these things than by visiting the gym a few times a week? Or better yet, now that spring has finally arrived, my favorite way to get my fit workout goals accomplished is by running outdoors. We live right by the Hudson River and Riverside Park so we're lucky enough to have some amazing trails to run on while still being able to appreciate some beautiful city views. With that being said, I also like to look good while working out. Cue in adidas and their women's collection. I'm absolutely in love with the Stella McCartney x adidas collection and these studio long tights and reversible tank are my favorite pieces right now. 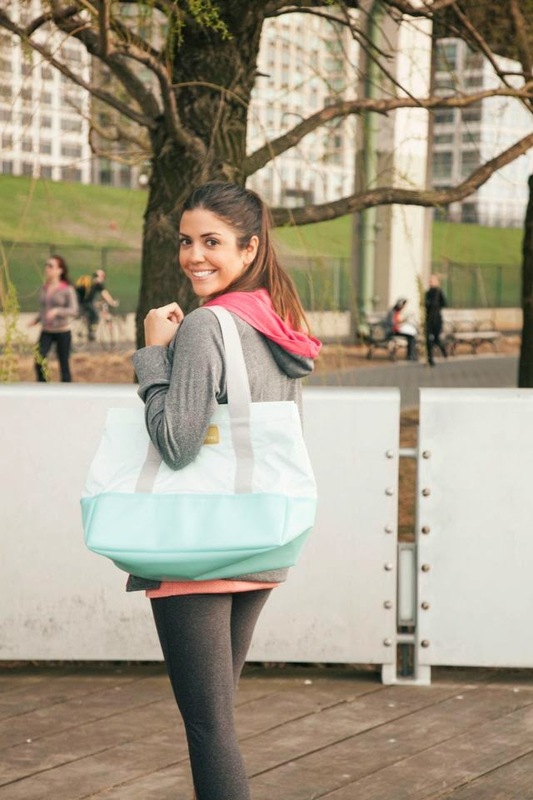 I mean, who wouldn't want to add a little designer flair to their workout? 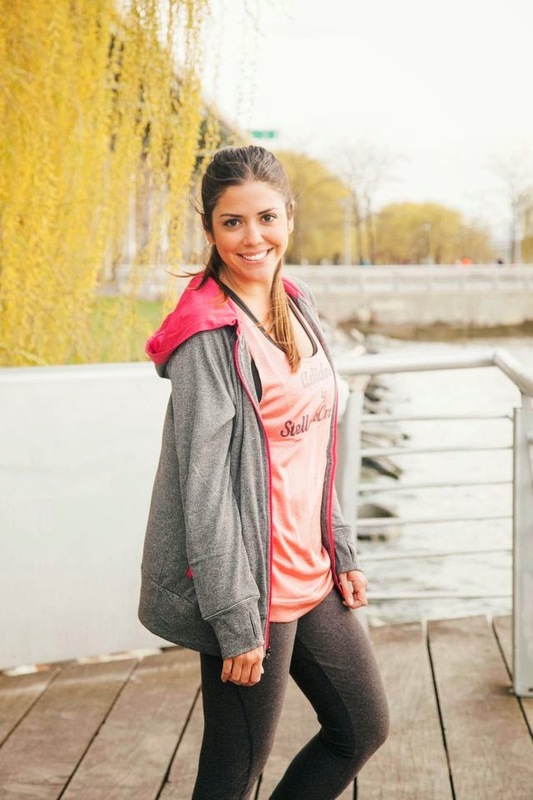 Stay tuned for more spring, summer and fall workout posts with adidas and their fab women's workout gear. Disclosure: Compensation was provided by adidas via Glam Media. The opinions expressed herein are those of the author and are not indicative of the opinions or positions of adidas. Great look! Love the tank and that bag! I love running along the west side highway, such a dose of adrenaline. Loving this collection! Wow, I love this workout look! I have been getting most of my workout clothes from Ellie or Fabletics lately, but loving these pieces! Love this post! Such a cute outfit! If all of us could only look this good while working out! Love the tee V! Super cute Viv! I adooooore the Stella McCartney collection! That tote is gorgeous! I am all about cute workout clothes. I feel like I have better workouts when I look cute. Love this look! I would definitely have a good workout in this! Great workout outfit. 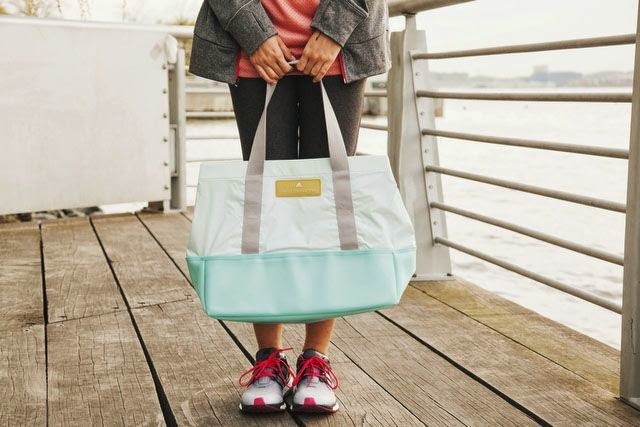 I adore the bag, it would be perfect for the gym. Such a cute little workout outfit Viv! And I agree with Nikki...feel like I always get a better workout in when I feel like I'm looking cute. Haha.